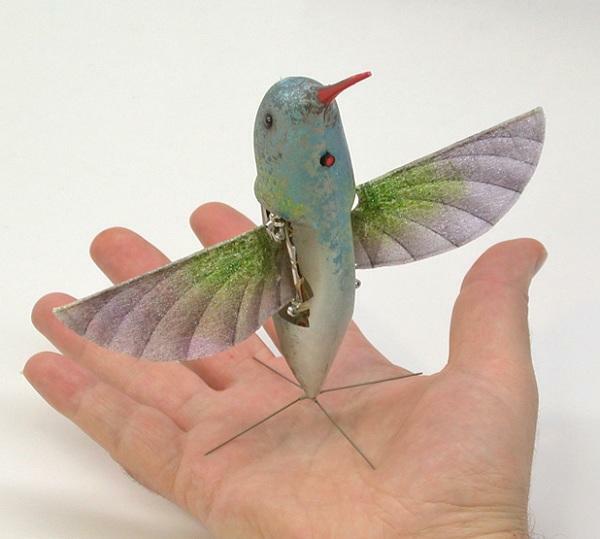 Nano Hummingbird, an UAV prototype developed by Aerovironment an outfit of Darpa. The increasingly drone attacks pose a serious threats to any country with functionable conventional Air-Defence systems or even with a well defended airspace. Unmanned Aerial Vehicles (UAVs), which also known as drones, have come to stay and their usage in military is at prime time. Being under the wings of the Air Force and protection of Anti-Air Defense system, alone you are not completely shielded from micro drones and swarm attacks. Drone technology promise to revolutionize several industries from media house, transportation sector, construction sector, wildlife and others. The rapid improvement in micro drone technology is providing defence interests with new nimble capabilities – performing ever more sophisticated surveillance operations and intelligence gathering. The technology behind unmanned air systems (UAS) has taken off in recent years, and as a result modern UAS can fly faster and even further than ever before. According to Defence IQ, last year sales of consumer drones were predicted to reach 2.8 million. That's a lot of drones sold to private individuals. But should that concern us? In 2015, a Japanese man called Yasuo Yamamoto made headlines when he used a drone to protest against a nuclear Japan. The problem wasn't the drone itself, but what he did with it. He landed the drone on the roof of the Japanese Prime Minister's home. The drone was carrying a small amount of radioactive sand, and was meant to protest the government's nuclear energy policy. Since then, many have worried about the potential of drones to cause harm. Drones can be fitted with explosives and designed in special way to explode upon contact. They can also be used to jam radio frequencies and disrupt other communications. Those small consumer drones could be used effectively in swarm attacks to target both military and civilians, while in response you wouldn't able to stop them. Certainly, is so scary to think of what drones might do in war, if not more, to think how they could be used to attack innocent populace. The efforts to countering a drone attack would not be easy, since it requires high-tech capabilities for detecting and identifying or intercepting the drones, especially the small sized ones like Hummingbird. Modern nano bots can fly at low altitudes, use irregular flight paths, and could blend in with a flock of birds as concealment. On top of that, their agility makes hitting them with small arms like AK-47 proves extremely difficult. The risk is generally a consequence of technological advances, and we have to understand how to mitigate it or accept the consequence. Consumer drones are available readily in common markets at very affordably price, but the weapons that would be mounted on them are not yet available, but time will tells when bad actors will start to learn how to weaponize those civilian drones themselves. However, there are efforts: Chinese company DJI Technology Co., the largest drone manufacturer in the world, have put in place certain restrictions on their drones. For instance, one of their drones would stop working if it ever gone into certain territory that marked off-limit areas,(military zones or area of national interest). In the future, we're likely to see governments place some more restrictions in an effort to minimize the risks associated with drones. The Pentagon issued a classified policy to declaring all military bases out of bound to all private or commercial drones deemed to be a threat. Local communities have since been notified that any unmanned aircraft system (UAS) trespassing in military airspace could be seized or destroyed. UK’s Royal Navy policies became subject to scrutiny when an amateur photographer managed to land his drone on the brand new Queen Elizabeth,the biggest aircraft carrier in the world while docked at Invergordon in Scotland. With no attempts made to stop the curious UAS from infiltrating the 70,000-ton warship, this is proved that there is security gap, the event is a self-evident. Queen Elizabeth, aircraft carrier the biggest military platform in the world. As Defence IQ has previously reported, consumer drones have now been employed on multiple occasions by ISIS forces in Syria, Iraq ,Yemen and recently in Saudi Arabia. An unarmed civilian drones, with surveillance capabilities like the commercial drones present a significant threat in their own right, offering the chance for an adversary to use footage and intelligence to coordinate a future attack. This is becoming all the more possible because the technology is experiencing rapid miniaturization. Modern militaries have developed various modalities and capabilities as solution alongside the conventional defensive platforms. Fortunately, there is a raft of possible counter-UAS approaches which already on the commercial shelf... 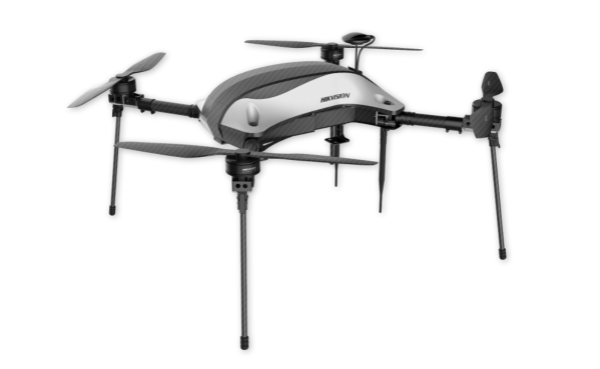 The companies like Blunt Force and Hikvision have designed and developed a low-tech solution as an UAS mitigation, the aim is to knock the drone out of the air with another object or projectile. This is the equivalent of conventional anti-air and missile defence. One of the leading options in this category is the SkyWall100 system from OpenWorks Engineering solution. The device is a man-portable compressed air launcher that fires a 22-pound net that physically capturing the drone before dropping it back to the earth. 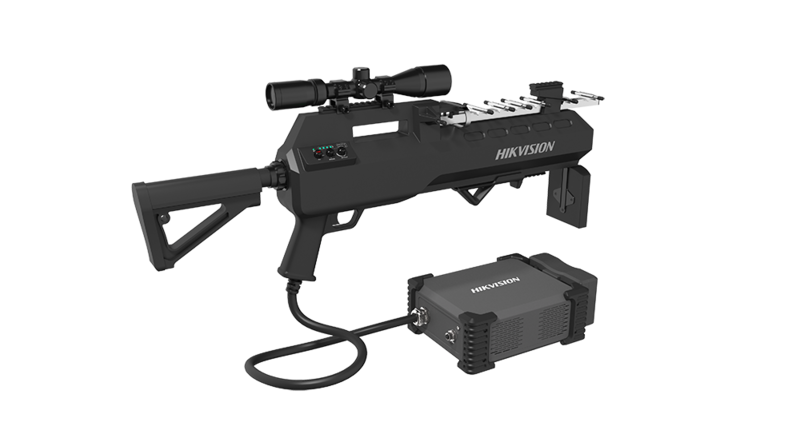 Another one is UAV Jammer UAV-D04JA which is the first anti-UAV defense product ever developed by Chinese company Hikvision with independent IPR. The Jammer can disable and take over remote control signals, including GPS and GLONASS positioning. The technology offers defense against illegal UAVs by interfering the data link and is capable of "capturing"(hovering, dropping and deviating) the intrusive UAVs. The UAV D04JA UAV Jammer developed by Chinese company Hikvision. US,China,Russia and other major militaries have cybernetic units specialized in Electronic Warfare (EW) in their forces responsible for jamming,hacking, provide electronic intelligence and surveillance. It's not long ago when Jihadist elements that supported by western power launched swarm of drones in January 2018 against Russian bases in Syria. About thirteen drones with explosive were directed to the Khmeimim air base, a naval facility in the city of Tartus on Syria’s western coast. But, Russian defence successfully repelled them off and remotely disarmed several others. There is often a risk that scrambling or destroying a drone in the air can risk harming people on the ground, particularly if those drones have been rigged with explosives or other hazardous material, so hacking and retracting the drone intact is the best option. Actively hacking can be established via connection between the pilot and the drone by manipulating the radio communication protocol. The operator can then force the drone to land or return home. Directional RF interference Higher-grade, large-scale options are now being marketed for the rigours of military use in the form of multi-tiered, radar-based systems. These solutions are vital when there is a need for long-rage engagement and when GPS-spoofing alone is not enough. Operating a high gain quad-band antenna system, the British-made Anti-UAV Defence System (AUDS) which comprises electronic-scanning radar, target detection, electro-optical (EO) tracking and directional RF inhibition capability. The system can not only detect a drone five miles (8 km) away, but will track it, classify it and disrupt its flight. Col. (R) John Haithcock, director of the US Army’s Fires Battle Lab, commented that within the next five years, 30 - 50 kw lasers will likely be employed on vehicles to “defend against the full suite of air threats”. Meanwhile, the US Navy's USS Ponce is already at sea boasting the Laser Weapon System ('LaWS') to target a range of possible threats from small boats to UAS. As one of the leaders in this field, Rheinmetall has for several years been developing laser-based products for countering air threats, including commercial drones and military-grade UAVs. World's military and security leaders will gather in Geneva, Switzerland, on the 19-20 September to tackle the modern challenge posed by drones. Register to attend or to demonstrate your solution.